At Jeanne Marie we are delighted to present this product available for flower delivery in Newcastle and surrounding areas. 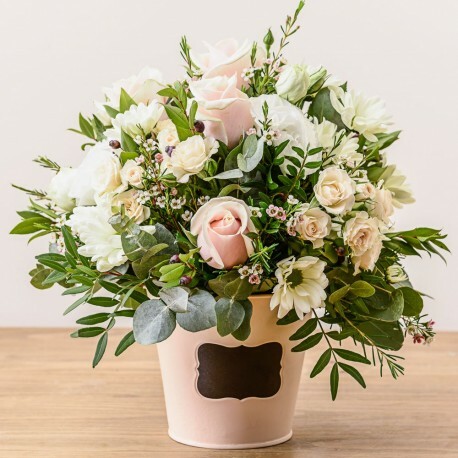 Container arrangement in pal pink and cream roses witrh foliage and fillers. Only available for Next Day delivery.